At the begining of 2017 , it is one happpy moment for Chaeng(Great Wall Corporation) . 6 pcs customized slag pot made by the Great Wall Corporation are ready to go at February 8, .eight slag pots leave our factory at February 9,. It is reported that the eight slag pots are sent to the German Company. 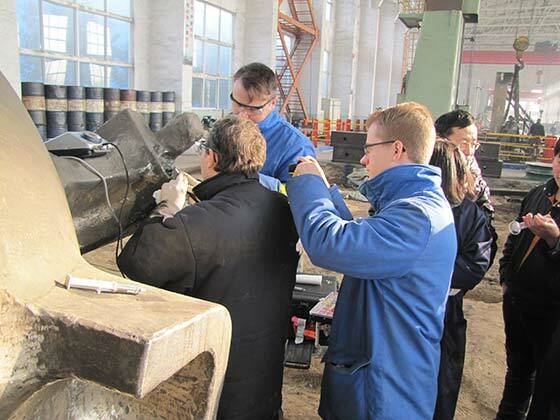 The German Company began to inspect steel casting factory in China due to business development needs in the year of 2016, the German Company is attracted by high quality products and efficient service when they inspect Great Wall Corporation. They finally choose Great Wall Corporation after all aspects of inspection. We sign the contract which include 10 slag pots. two slag pots had been deliveried by the end of 2016. 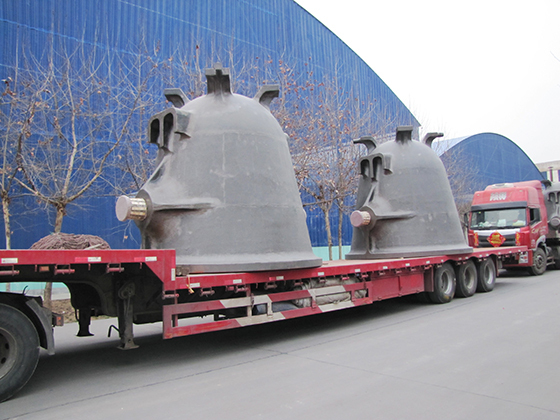 The slag pot with the reputation of sophisticated technology is the key product of Great Wall Corporation . It can be customized according to customer needs to make the slag pot suitable , Great Wall Corporation has successfully exported to the United States, Mexico, Brazil, India, Korea, Japan, Russia and more than 50 countries and regions. Great Wall Corporation stengthen innovation and adopt the most advanced steel casting technology and software systems in the process of slag pot production, so the production time can be within 30 days, average using times of our slag pot is about 2000 times, the working life of our slag pots is much higher when compare in the market, anti-deformation ability is enhanced due to the adoption of one time casting, .we have Advanced testing equipment to do the nondestructive test to ensure the internal quality of slag pots.